Every year, we look for enthusiastic and committed volunteers to join the Festival team during the Opening Weekend and throughout the week of the festival. We are now recruiting volunteers for the 2019 Festival. We welcome volunteers from all walks of life. 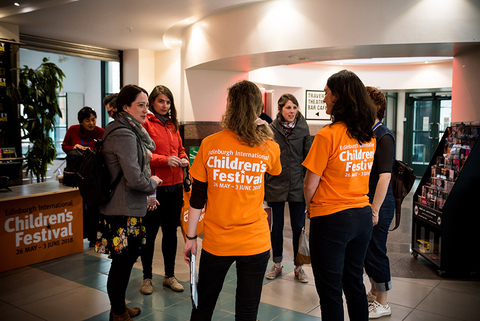 Our Volunteers are the public face of the Festival; helping our school, family and delegate audiences at each venue, attending industry and guest events, and supporting the Festival team behind the scenes throughout the week. In return for their time and commitment volunteers are able to see Festival performances, attend social events, and take part in a hugely exciting, creative and rewarding week. A chance to meet and socialise with other volunteers and artists from across the world. We are now recruiting volunteers for the 2019 Festival. If you are interested, please contact Volunteer Coordinator Ondine Oberlin at volunteers@imaginate.org.uk and we will get back to you as soon as possible. 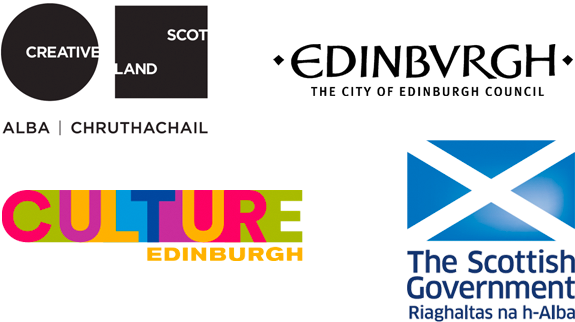 The volunteer programme is supported by Lothian Buses.